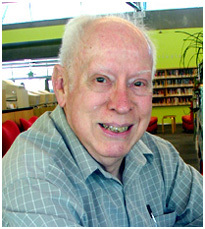 James Herschel Holden is the Research Director at the American Federation of Astrologers. Many years ago he made translations of a number of old astrological texts, which, for many years, he circulated privately among his friends. The ongoing back to the basics movement of the 1990's & 2000's, has encouraged the AFA to publish many of them. When these books arrive, I had been filing them according to the author. It was recently pointed out to me that organizing them by translator, in other words, Mr. Holden himself, would let students instantly access these books. I am thankful for the suggestion, which came from Ken M., of Maryland. Note also his excellent translations of Morin, which you will find on that page. Finally, Holden, a student of history, has also written three excellent books on astrological history. You will find them at the bottom of this page. Holden's translation of Paul of Alexander dates from 1986, many years ago, but publication was limited to photocopies and distribution limited to his friends. There was a second limited edition in 1994, and then this one, of 2010, which the AFA has now published (2012). I used to stock a translation by Dorian Greenbaum that Arhat (Rob Hand) published (Late Classical Astrology: Paulus Alexandrinus and Olympiodorus) but that is now out of print. Holden's translation, combined with AFA's publishing, is superior. Holden declares this text to be incomplete. The signs of the zodiac are given extensive treatment, but there is not very much on the planets. The usual survey of topics - such as one finds in Ptolemy - is limited to Children and Action. Holden asks, why there is no chapter on planets? And why, if there is a chapter on children, there is none on marriage? (pg. ix) Holden speculates that much of Paul's book may have been lost over the centuries. There are many tables: Terms of the planets are given in such a fashion as to make it clear the maximum years of life, as given by the various planets, is the addition of their term degrees (two separate tables). There are decans, monomoiria (single degrees), commanding and obeying, etc. This book is famous for its scholia, or commentaries, which are marginal notes found with various copies of the book. These have been collected and comprise nearly 35 pages. These are given out of context, but it is generally clear what they are referring to. This is followed by Heliodorus's Commentaries, which list a great many lots, perhaps as many as can be found in Al Biruni. There are many useful details in this book. Which brings me to Holden's personal notes. He begins with where the zodiac started in ancient days. He says the Greeks in Alexandria started the zodiac at 15 Cancer, not 0 Aries. Holden says the Greeks used a "fixed zodiac" which he calls "Alexandrian." Exactly how this relates to the tropical or the sidereal I am not quite certain. A guess would be that Tropical positions, which are easily had, were from time to time projected into the sky, and when, as the decades and centuries passed, the stars had drifted out of those locations, a new fixing would be had. Such would be the origins of the Sidereal zodiac. (If it wasn't for Vedic astrology I would suspect the Sidereal zodiac to be a wholly modern invention.) This comes up in the discussion of Commanding and Obeying signs, which are derived from antiscia. Pg. 147, Holden notes that signs that "obey" each other do so because they cast equal shadows. Which, if I can believe that, are Tropical positions on the face of it, because the Tropical summer and winter solstices are defined as the longest and shortest days of the year, which has to do with shadows. Count the days before and after the solstices: Ten days before and ten days after, shadows are the same length, thus, antiscia. I've examined this in some detail in Valens, who goes on and on about solar and lunar gnomens. The gnomen is the shadow-casting part of a sundial. Holden has a most useful detail in calculating planetary positions, as given in Valens. One is to start the count, not from the date of the death of the Emperor, but from the start of the next year, which at the time was August 29 or 30. Holden then examines why things were so quirky in Alexandria. Supposedly everyone who was anyone was in Alexandria, but so far as anyone can tell, everyone did things their own way, they customarily contradicted each other, and no one knew any of their contemporaries. This is very puzzling, but I have a solution. Which is that "Paul of Alexandria," "Jane of Alexandria," "Dorotheus of Sidon," "Vettius Valens of Antioch," etc., are all misleading. In point of fact, the academics who live in a town always end up in one big club - a college or university - just as they do now. In point of fact, when these people write books, they write for themselves. Not for an audience. Not for the public. Largely they carry on arcane feuds and for the most part are so unremarkable as to be completely forgotten. Remember any of your college professors? I don't. What we actually have, instead, is a situation which appears similar to the Marseilles Tarot. Which goes like this: Once upon a time in the 18th century there was an enterprising printer in Marseilles who printed lots and lots of tarot cards, which, over time, became associated with the city of Marseilles itself. Such that when other printers, in other towns, printed their own tarot cards (all more or less identical), they called them "Marseilles" cards in order to pass them off as the genuine article. The "Marseilles tarot" became a generic term, in other words. Which it still is to this day. Such is what I suspect happened with "Alexandria." If all the people who have "Alexandria" or "Egyptian" associated with their name actually lived in that town, how did the locals tell them apart? But what if, instead, some enterprising fellow in Damascus, or Crete, or in far-off Sicily wanted to pass himself off as learned? If Alexandria was the center of learning, and if, perhaps, he had actually been there, he might stick "Alexandria" on his name, the way we might put "Ph.D." after ours. It gave him respect. It was a title. It set him apart. If this is true, then few if any of these men had anything to do with Alexandria. It means their books will be from their own locales. Not from Alexandria. Each with its own, unique, local quirks. And why not? The ancient world was a large place, with many notable cities. Astrology is of interest everywhere, not just in a port city in Egypt. It is logical to think that books were written throughout the ancient world, and that the better ones have come down to us, regardless of who wrote them, or where. Which means we can have great fun trying to figure out where these men really lived and worked. From the klimes that Valens gives, I've put him in the Greek colonies in the Crimea. The Greeks extensively colonized the Crimea, a fact which today seems to be known only to the Ukrainians. Holden has fascinating notes on how the ancients calculated the day of the week, the Sun's position, as well as ascendant and midheaven - which in the case of the angles was often none too accurate, as I discovered in duplicating the calculations given in Valens. Holden seems to be of the opinion that ancient sundials were more or less similar to the garden ornaments we know today. This is wrong. Obelisks could easily be made to function as community sundials, and with simple lines on the ground and monthly tables, would be accurate to under a minute. Any tower, or even tall wooden shaft, can be made to function in this way. I am puzzled why no one has figured this out before me. We are slowly puzzling out the riddles of Hellenistic astrology, thanks to the tireless efforts of men like James Holden. Rhetorius the Egyptian seems to have lived around 505 AD; he compiled a valuable compendium of the works of Antiochus & Porphry, with excerpts from Vettius Valens & some other earlier writers. His book seems to have been entitled, From the Treasury of Antiochus, an Explanation & Narration of the Whole Art of Astrology. A number of chapters are nearly identical to chapters in Porphyry's Introduction. This probably indicates that both Rhetorius & Porphyry independently borrowed those chapters from Antiochus of Athens. There is much material in Rhetorius's book that is found nowhere else. In addition we get the impression that Rhetorius himself was a competent astrologer. One particularly notable section in his book is Chapter 54, "Topical Examination of the Chart," which contains the only systematic method of chart reading that has come down to us from the classical period. The anonymous compiler of the Book of Hermes copied this into his work as Chapter 16 & the medieval Latin translation is useful for emending the text of Rhetorius & for supplying portions of the text thast are now missing in the Greek. In his History, Holden goes on to quote Rhetorius on the 8th house. No need for me to do that. You can now get the book. This translation has a long history, which Holden details in his four Prefaces. The late David Pingree was working on a new compilation of this book, but died before he could complete it. Holden gives this & many other details, but omits the one that interests me most: Was this book originally in verse, or not? As I've elsewhere mentioned, the reason early writers all quoted one another, and at length, is because the books were in verse. Verse is different from prose. These authors had earlier memorized entire books & when the time came to write their own, they had a great deal of information at their fingertips. Contrast this to William Lilly who had memorized nothing & therefore had to fall back on trite phrases, such as (said of Schoener), A good book but not methodical. Which, by the way, implies that Schoener did not write in verse. Neither did Lilly. As a result, there is not a man alive, including John Frawley, who can quote Lilly at length. This book ranks in importance with Ptolemy and Firmicus. It is essential. Rhetorius (and Holden�s translation of him) deserves a resounding five-star salute with additional accolades. This book is a veritable jewel of material from the classical period, with lots of wee bits and treasures not often found in other ancient books. Top-notch, must-have book for any astrologer interested in ancient astrology & methodology. Rhetorius is the whip. The section at the end with constellations includes some very rarely mentioned Babylonian constellations that were pretty much forgotten by his contemporaries, and certainly out of use by the time of Porphyry. Fascinating stuff. Introduction by James Holden; Preface to the edition of 1546 by Joachim Heller of Weissenfels. 40. Jupiter in its own domicile & in those of the other planets; 41. Mars in its own domicile & in those of the other planets; 42. The Sun in its own domicile & in the domiciles of the other planets; 43. Venus in its own domicile & in those of the other planets; 44. Mercury in its own domicile & in those of the other planets; 45. The moon in its own domicile & in those of the other planets; 46. The lord of the hour; 47. The significations of the planets in the individual house of the natal horoscope: Planets in the ascendant; Planets in the 2nd house; Planets in the 3rd house; Planets in the 4th house; Planets in the 5th house; Planets in the 6th house; Planets in the 7th house; Planets in the 8th house; Planets in the 9th house; Planets in the 10th house; Planets in the 11th house; Planets in the 12th house; 48. The head & tail of the dragon of the moon in the 12 houses of heaven; 49. The effects & indications of the Part of Fortune in the 12 houses of the natal horoscope; 50. The rest of the accidental dignities or debilities of the Part of Fortune; A caution that must be observed in judgments. Appendix 1: Notes on the 12 example horoscopes. Appendix 2: Masha'Allah's Book of Nativities. Glossary. Bibliography. Comment: A small but excellent treatise from the early 9th century. Although the author was one of the leading Arabic astrologers of his day, this book is a compendium of Greek, not Arabic, astrology. (Most of what is termed Arabic astrology, including the Parts, were already in use by the Greeks centuries before.) Of Abu 'Ali's ten known books, only two have survived to modern times. Originally in Arabic, Holden has translated the 1546 Latin translation of Joachim Heller. May, 2009: Newly reset. No longer in dot-matrix. This is now a very nicely done book. Ptolemy's Tetrabiblos was a century old when Porphyry came to write his Introduction to it. Porphyry's book looks a lot like a condensed version of Al Biruni's book, written 8 centuries later. That Porphyry stuck Ptolemy's name on it tells me several things. One, that Ptolemy wrote his book in verse, not prose, because only books in verse circulated. (Ptolemy's original text was lost, he exists only in the paraphrase of Proclus, of the 5th century. Which, to Porphyry, was centuries in the future.) Next, it tells me that despite books by Vettius Valens, Rhetorius, Dorotheus & others, Ptolemy's book had already become a standard reference - at least as far as Porphyry's immediate neighborhood was concerned. A reference that was flawed, in that it (Ptolemy) lacked essential details, the necessary twiddly bits, that make the rest of it work. Hence, Porphyry to the Rescue! In his Preface, Holden notes that parts of this book turn up, verbatim, in books by Antiochus, Rhetorius & Sahl Ibn Bishr. This leads Holden to speculate that Porphyry's book was a composite patched together by Demophilus around the year 990. Dear Mr. Holden, should you chance across these notes, it is critical to know if these sources are all in poetry, and if so, if they were all written in the same language and used the same meter, which, if so, would indicate they were not copied from one manuscript to another, but recited, independently, from memory onto paper, by each of the people concerned. Just as I might recite Row, row, row your boat / Gently down the stream or Poe's The Raven, from memory. In my view, it is critical to establish how knowedge was transmitted from one generation to another, to better understand how ancient society worked. Which brings me to Porphyry's book itself. In brief, some of the details will be familiar to students, but many will not. It will repay study. Study the list of contents, above, closely. The identity of Seraphio, his dates, are unknown. It is speculated he lived in the first century BC or AD, which is rather vague, and that his book (more like a monograph) was compiled around 1000 AD, perhaps, again, by Demophilus. Another very useful book from Mr. Holden. I wonder how many more surprises he has in store for us. Comment: These are five sets of aphorisms, of Greek or Arabic origins, that were translated from (largely lost) originals by the celebrated Twelfth Century Translators, of Spain & Italy. Increasing trade between Christian Europe & the Islamic world, in particular, Spain, had given Christians a taste for the many splendors in Arabic libraries. The twelfth century produced many hundreds of translations to satisfy this need. The Wiki page notably omits Every.Single.Astrological.Work translated by these men. When in fact many, if not a majority of the books translated were astrological in nature. We are, today, many years from exhausting those treasures. It was these translations that set the stage for the Italian Renaissance some three centuries later. Medieval scholars gave far greater importance to the nature of numbers than we do today. Hence there are many sets of 100 aphorisms, from whence the title, "Centiloquy". One of the earliest surviving, and one of the best, is the one attributed to Ptolemy, though he did not write it. The next most famous is the set by "Hermes", though, again, actual authorship is unknown. All three sets given here, along with Almansor's 150 Propositions, mix some natal astrology with a lot of horary & electional. Albumasar's Book of Flowers is, uniquely, a book of mundane aphorisms. I have long awaited such a book. These translations were made from critical editions of source material. In particular, the translation of the "Ptolemy" Centiloquy is from the recent Greek text of Emilie Boer. Comment: Like many acient books, the Table of Contents is a de facto index, listing the contents of the book, virtually page by page. James Holden's Introduction says that Sahl Ibn Bishr, known in the west as Zahel or Zael, was a learned Jew who lived in the first half of the 9th century. He was at one time court astrologer to the Vizer of Baghdad. He is credited with writing 18 books in Arabic, five of which were later translated by a group known simply as the 12th century translators. The books were: Introduction to Astrology, The 50 Precepts, Judgments of Questions, Elections, and, The Book of Times. These are the five books which Mr. Holden has translated for us. For a source, Holden has conflated the first complete printed edition (Venice, 1493, I am unable to find it in Gardner), with a privately made microfilm copy of a 13th century Latin text from the Bibliotheque Nationale in Paris. And if you were asked about the robber, whether he is a male or a female or an imbrio, then consider which ascends of the forms of men in the face of the ASC in which the question is made, and declare according to the substance of those forms. And you may know that in the first face of Aries, there ascends the form of a black man dressed in a white tunic; and there ascends in the second face, the form of a woman over whom there are red strips of cloth; and in the third form is that of a man of a pale color with red hair. This is a use of faces that I had not read before, and potentially a very useful one. To be strict, Holden is unsure if this section is actually by Sahl or was added by later hands. In his Introduction, under the heading, Special Features of Sahl's Techniques, Holden discusses the sign-house method of chart construction, where the first house is the entire rising sign, the second house is the entire second sign, the tenth house is the entire tenth sign (ie, the MC degree is ignored). He attributes this to the Alexandrians in the second century BC, he says it was imported to India (in theory, India learned astrology from the Greeks), where it is still used today. Holden does not mention the Greek book which allegedly taught India astrology. It was the Yavana Jataka (or Yavanajataka, "Greek Astrology"), which was translated by the late David Pingree. If I can get permission, I want to reprint this book & in my introductory notes, give a proper analysis of the role & function of early books, with an emphasis on the sign/house problem. But two quick notes: The sign/house conflation is native to equatorial climes & presumably originated there. At 31 degrees north - the latitude of Alexandria - sign/house conflation only works somewhat. Further north in Europe, it collapses altogether. Which is why Europeans have spent a thousand years grappling with house division. It is bizarre to see this crude system promoted anew by the likes of Arhat & Hindsight. (Holden seems to be holding his nose.) Why was this issue not tackled by the Greeks? Because they lacked numerical representation that would enable them to perform the necessary calculations. If all they had were "Roman numerals", consider the problem of dividing MCCCXLVIII by XXIII (848 / 23 = 36.87) using such a crude symbol set. It is for this reason that Western mathematics was stunted until the introduction of Indian numerals, by way of the Arabs. What we know as "Arabic numerals" were first introduced to Europe by Fibonacci in 1202, but did not become commonplace until the invention of the printing press in the 15th century, some one thousand years after they were first developed in India. See Wiki's discussion. As for the Yavana Jataka being the "seed book" for Indian astrology, this rests on a dual misunderstanding. First, of the role of early books in societies where knowledge was largely imparted from teacher to student by oral, not written, means. Second, India was not then, and is not now, the sort of society where ideas are easily propagated from one locale to another, which makes foreign seeding a very foreign idea. Ideas spread quickly & widely in Europe for a very different reason. But these remarks are better saved for later, when they can be presented in proper garb. But aside from that. Another huge piece of the puzzle has just been given to us. All thanks to Mr. Holden, and the American Federation of Astrologers. 8. The signification of the ruler of the ASC in the twelve houses. 9. The signification of the ruler of the 2nd in the twelve houses. 10. The signification of the ruler of the 3rd in the twelve houses. 11. The signification of the ruler of the 4th in the twelve houses. 12. The signification of the ruler of the 5th in the twelve houses. 13. The signification of the ruler of the 6th in the twelve houses. 14. The signification of the ruler of the 7th in the twelve houses. 15. The signification of the ruler of the 8th in the twelve houses. 16. The signification of the ruler of the 9th in the twelve houses. 17. The signification of the ruler of the 10th in the twelve houses. 18. The signification of the ruler of the 11th in the twelve houses. 19. The signification of the ruler of the 12th in the twelve houses. The first of the six books in this volume deals with reading an horary chart by reception of the rulers. I have long wanted to see an horary technique like that. Masha'allah works out numerous questions by this technique. The third book, on Revolutions, concerns the annual ingress of the Sun into Aries, which is mundane astrology. I have long wanted to see an early book on mundane. For openers, Masha'allah says if the ascendant ruler is in a bad way, the year will not go well. On the other hand, if the sun makes a favorable aspect to the ascendant, the year will be good. The third book deals with climes, and as climes have been mysterious to me, I Wickied it. Climes are bands of longitude based on the longest day of the year (summer solstice), in half-hour intervals. Here in Bel Air, latitude 39N32, the longest day of the year is 14h46m from sunrise to sunset, which puts us in the 6th of 33 climes, but in the system of seven climes, we're in the 4th or 5th (Wiki is fuzzy). According to Masha'allah, the fourth clime is ruled by the Sun, the fifth by Venus. Since the ascendant is based on latitude, climes were a crude, early way of working it out. (The MC is determined by time, while precise definition of intermediate cusps had to wait until a system of numerical notation had been devised that would enable them to be calculated.) Once upon a time the exact latitudes for each clime were known, but modern researchers have not paid them any attention, so far as I can tell. This is a pity. Climes had rulers. Ptolemy divided climes with quadrants, the result was his system of astrological rulerships of the various regions of the world. It would be nice to reconstsruct & update that. We get a glimpse of Masha'allah's clients in his attention to the ruler of the year & the king's fate. In the first book, on horary, there were a series of questions concerning kings. By contrast, William Lilly, who wrote the great textbook on horary, did not have a king for a client. This book is brief & to the point. The fourth book in this volume, The Signfication of the Planets in the Nativity, starts off with delineations of planets in the signs of other planets. Instead of delineations of Saturn in Aries, Saturn in Taurus, Saturn in Gemini, Masha'allah gives us Saturn in the domicile (signs) of Saturn, Saturn in the domiciles of Jupiter, Saturn in the domiciles of Mars, etc. The next section gives the rulers of the various houses, in the other houses. These are both short & to the point. The third section, on the planets in the various terms of the planets, has to do with planetary periods. Regrettably, neither the author, nor the translator, state just what sort of periods these may be. I presume they're Firdaria. Which always struck me as crude, as day births all start with the Sun, night births all start with the Moon, and then proceed through the other planets in strict order & time periods. Which means to customize Firdaria, you must consider the sign, house & dispositor of the planet whose period it is. Which requires skills I do not have, alas. The fifth book is on the Conjunctions of Planets. Which includes Superior (Jupiter/Saturn), middling (Saturn/Mars) and minor (Jupiter/Mars) conjunctions, as well as eclipses. The treatment is brief. The final book is The Book of Thoughts as well as On Interpretation. The first is how the horary chart may reveal the intentions of the Querent, not merely give the outcome of his question. Interpretation is but two paragraphs, cautioning the astrologer to ensure his sundial or astrolabe is correct, that he not fail for silly reasons. Can one speak of an astrological "science"? "This is the autobiography of an occultist & pioneer astrologer from 1894 to 1946. Brahy founded the Belgian Institute of Astrology & its astrological journal, Demain [Tomorrow], and he also founded the Belgian branch of the Rosicrucian Fellowship. From the late 1920's on, he published stock market advisory letters & a book explaining the astrological methods that he used. He gives an account of the development of astrology in the 1920's & 1930's, culminating with the three International Congresses of Astrologers in Europe & his visits to the US in 1937 & 1939. And he tells how astrology managed to thrive during the Nazi occupation of Belgium, 1940-1944. "He also gives a valuable assessment of the difficulties encountered in managing both an astrological consulting business & a magazine & book publishing business. And throughout the book he discusses the problems of astrology & its place in modern society. Readers interested in Astrology & Rosicrucianism will find many fascinating details of Brahy's experiences & associations with leading figures in those fields." The translator, James Holden, has long had an interest in the history of European astrology. For those of us in the English speaking world, knowledge of continental astrology is essential. 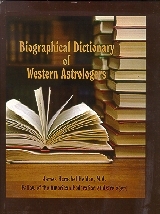 This book was based on the earlier Astrological Pioneers of America (see immediately below) and is an expansion on it. The earlier geographical restrictions have been removed. This book now also extends backwards in time. You will find in its pages William Lilly, Firmicus Maternus, Claudius Ptolemy, Vettius Valens and many more. You will also find many, many unjustly forgotten foreign names. This is now as a complete and comprehensive reference as is possible for a single man to produce, remembering always that teams of researchers are generally required to produce a book of this size. The book includes some 2200 astrologers. Whenever possible, it includes birth and death data, date, time and place. As Holden himself says, History is made by people, so biography is the basis of history. In the English speaking world, we sometimes think astrology originated in Greece and then magically appeared in England and America. This, I am happy to say, is not true, and this book will provide a rich sampling of international astrologers through the ages. Of more recent astrologers, the previous cut-off of births in or prior to 1923 has now been raised to 1936, or, in a few cases, later, although deceased. This book is intended to supplement the author's History of Horoscopic Astrology, which you will find, above. It is long past time that astrologers themselves took the lead in preserving our own history. The days of begging academics to give us a look-see I suppose will never end, but we can and will write our own histories, even if Wiki's express policy is to prohibit all mention that we have done so. This book was intended for use by libraries. I might pick at it and find a great many trivial faults, chief among them the inclusion of many minor American astrologers, but it is better to err on the side of completeness. I only wish astrologers who were active in, say, the 1980's and who are still alive and noteworthy, had been included as well. Though the author hopes his books will be the start of an on-going series of astrological reference works, they are more likely to be orphans. In this regard, the AFA itself will be critical. When the day comes that Mr. Holden resigns his post as its Research Director, I am hopeful the AFA will speedily appoint another, and assign him the task of keeping Mr. Holden's works up to date. I cannot stress enough how important the American Federation of Astrologers is, and will remain, to the future of astrology in the US, as well as to the world as a whole. I regret this book, which weighs nearly five pounds and is two inches thick, will be extraordinarily expensive to ship. There is the possibility that I will ask the AFA to drop ship, and that they will ask the printer, Lightning Source, to drop ship in their stead. If so, delivery would be about two weeks. AFA, 777 pages, hardcover, oversize. Comment: From 1988, this eventually formed the core of Holden's A History of Horoscopic Astrology (above). This is a biographical dictionary of American astrologers: Professionals, teachers, writers & students, born 1923 or earlier, as well as younger astrologers who were already deceased, a total of some 1300 entries in all. Includes birth data when available, biographical information & selected bibliographic listings. Also included is an appendix of foreign astrologers associated with US astrologers, some 148 entries. Most of the entries are brief. This is a fascinating & essential catalog of the famous, near famous & completely obscure. Originally issued to commemorate AFA's 50th anniversary in 1988. At the time the AFA was briefly using an inferior printer & as a result, the binding on this book will crack & the pages will fall out. Buyer beware! There are no returns for a bad binding with this book (apologies! ).